Photos taken by Richard Markosian with Utah Stories’ drone. 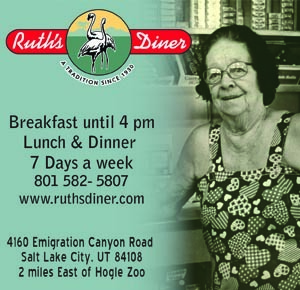 The following story was researched and written by The Utah Investigative Journalism Project in partnership with Utah Stories. On January 2, 2018, Amazon announced it had shipped 5-billion items through its Prime services alone in 2017. That year also saw many traditional retail stores washed away by the swift waters of change brought by online commerce. Macy’s had to close 68 stores in order to save money that could be reinvested in e-commerce, closing a 200,000 square-foot location in Holladay, and a 162,000 square foot location in Layton. Last year also saw the announced closure of the Sears located in downtown Salt Lake City, and the Sugar House Shopko. These closures mean lost benefits to local communities—but also new opportunities. Data from the Salt Lake County Assessor’s Office website gives an illustration of local cities’ love affair with big boxes, with 35 Walmart, Target, Sears, Shopko, Best Buy and Office Depot/Office Max locations covering over 412 acres in the county. For the years 2014-2016, these locations were assessed over $17.4 million in property taxes—funds that help their home cities pay for roads, schools, fire and other emergency services. But even that amount pales in comparison to the amount of sales taxes that are said to eclipse their property tax contributions in terms of local impact. While sales tax data for individual stores is not considered public information by local cities and the Utah State Tax Commission, it is possible to gauge the impact of certain large retail projects by looking at sales tax data collected for specific zip codes that are home to major retail centers. For example, 84101, the downtown zip code of the City Creek Mall, saw a major boost in taxable retail sales the year the mall opened. While only an estimate, the City Creek effect is obvious—in 2011 the zip code generated more than $353 million in taxable retail sales. The following year, when the mall opened, that number jumped to over $443 million. In 2013, the mall’s first full year in business, the retail trade taxable sales for that zip code exceeded $462 million. Salt Lake City’s share of sales tax collected just from that zip code went from $24.2 million in 2011 to $31.7 million in 2013. 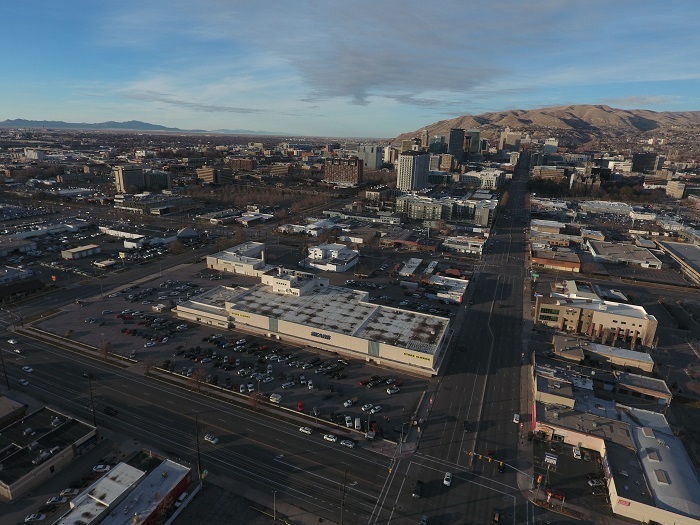 But while cities dream of City Creek-size projects landing in their communities, the reality is that such developments are rare, and that even once-grand retail projects eventually lose their luster—and business and tax revenue. Another comparison paints a different picture for zip code 84117—the location of the Cottonwood Mall in Holladay. In 1998, the taxable retail trade at this location was over $247 million. A decade later, when the mall closed in 2008, the taxable retail trade was just over $193 million. In 2009, the taxable retail trade sales thudded to a dismal $164 million. Stephen Goldsmith is the Director of the Center for the Living City and teaches urban planning at the University of Utah. In planning lingo, Goldsmith says vacant big boxes are considered “gray fields” that represent lost income but new opportunities for better, healthier mixed-use residential developments—projects that combine housing, office space and ground-level retail. He stresses that it’s not about eliminating automobiles, just making healthier, eco-friendly options more available. The mix of uses also ups economic and safety benefits for these developments by creating an environment that is always active and busy. People leave their homes to go to work, but nearby businesses are open, and at night when the businesses close, people come back to their homes. The bustle keeps crime down for the businesses and homes, and economic activity is upped for the businesses that make money from visitors as well as the nearby residents who grab goods and meals on their way home from work from the conveniently located shops and restaurants. 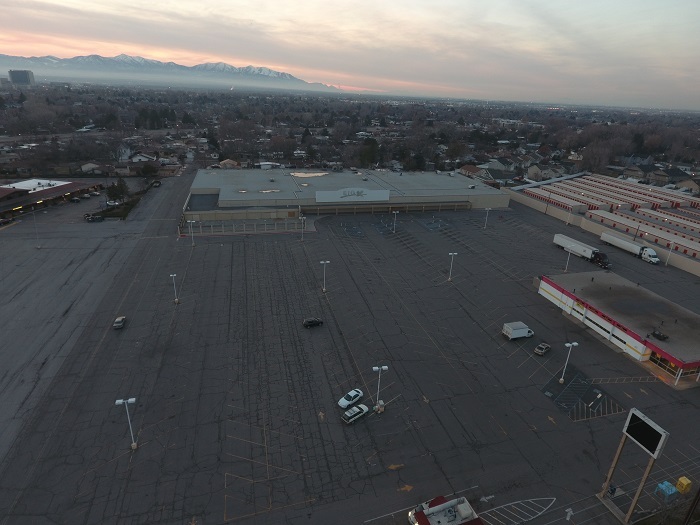 In Sugar House, residents are working hand-in-glove with a developer for an ambitious walkable, mixed-use development for the recently closed Shopko site, with underground parking, office space retail and a new University of Utah hospital facility. Sugar House Community Council Chair, Landon Clark, says he’s been blown away by the developers and the way they work and communicate with the community. He says they recognize the potential to design something very impressive that will draw people to it, especially those driving past on the freeway. But it won’t be without significant work—Stringham Avenue will be reconnected, lined with park benches, a mural will be painted on the backside of Payless Shoes, and dump trucks are busy hauling tons of earth out of the area for the underground parking. In Holladay, however, the Cottonwood Mall has been closed for a decade, and a proposal before city planners to develop mixed-use there is facing outrage from residents wary of the new proposed 1,255 residential units, and the 136-foot high tower that locals worry will block their mountain views. In January, the planning commission voted against forwarding that plan onto the city council in large part because of citizens’ ire over these issues. Paul Allred is the Community Development Director for Holladay. He says replacing the mall with an equivalent commercial use is not realistic anymore. Vacant, the 57-acre lot requires constant weeding and pruning to keep from becoming a fire hazard. Even then the blighted space still hurts adjacent businesses. He says it’s time for the land to be revitalized. Slated to become the Central Park of Sandy, Quarry Bend was designed to become a massive 100-acre park offering views of the canyons and valley surrounded by high-density condominiums and a three-mile running trail. 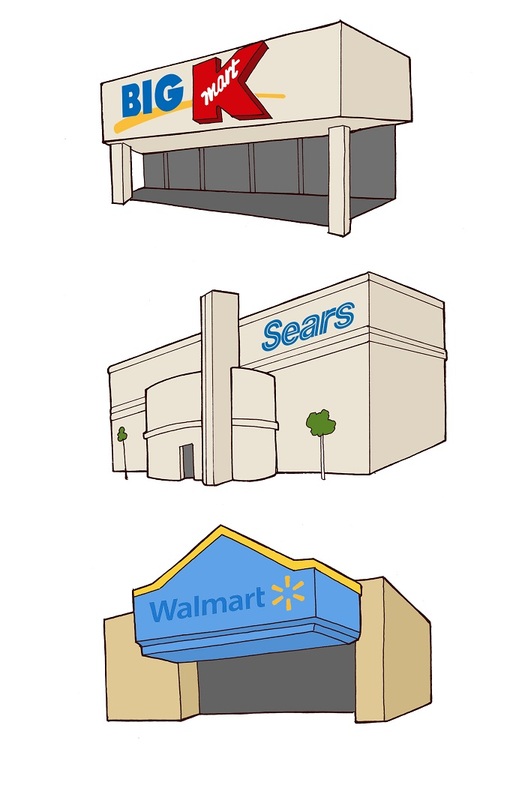 But in 2005, Sandy’s WalMart, on State Street, was closed, and Walmart decided to open a super center in Draper. Sandy Mayor, Tom Dolan, was famous for never raising property taxes, so losing the massive amount of sales tax and property tax revenue WalMart would have generated for neighboring Draper, was off the table. Something had to be done. Partnering with the Boyer Company for construction, Mayor Dolan convinced residents to swap the park vision with three big-box stores and about 20 retail units. A small kids’ park and the jogging trail are all that remained of the original vision. Based on some rumors, and the occupancy of the parking lot at 6 pm, it’s questionable if these big boxes will remain occupied in the long run. Would Sandy residents have been better off paying more in property taxes, or was this a good decision? 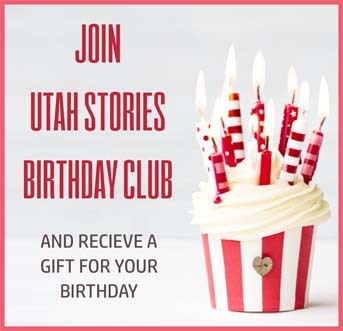 Post your comments on UtahStories.com.